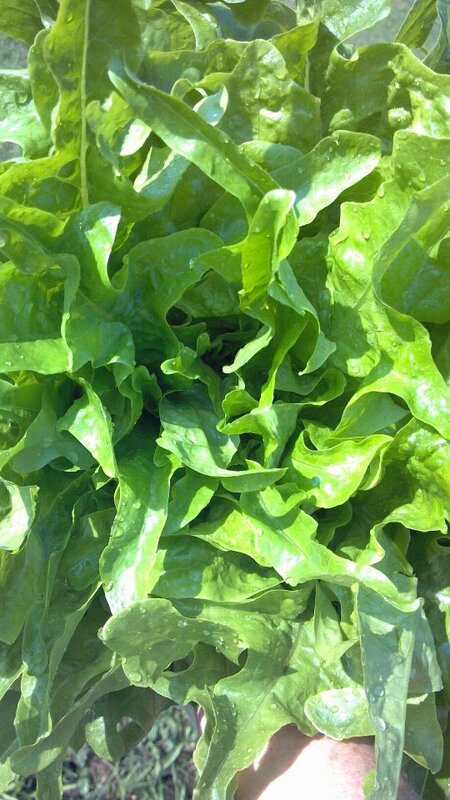 Lettuce grows from the center like a dandelion. Once lettuce is picked, its days are numbered. If I don't make salad in those days, it has a new name: compost. 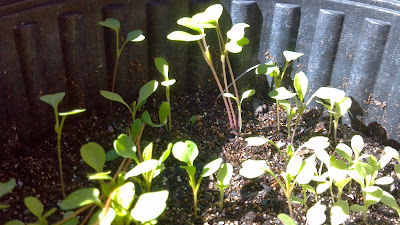 Lettuce in the ground (or container) lasts until I pick it or until the weather gets hot and it goes to seed. What's more, in-the-ground lettuce can be harvested every few days JUST IN CASE I decide to make salad regularly. Lettuce wealth from just one plant. Too bad money can't grow that way: one dollar, pay the bills all winter? outside leaves off with the lawn mower every week but the dandelion never dies. It just grows new leaves. Cut them again, grows them again. In the lettuce world this is called cut-and-come-again. Below where the leaves attach is root. The only thing you need to not cut is the root. Seems obvious, but it's not always. You see, the root sometimes stretches up out of the dirt in the first few days after germination if it doesn't get enough light. 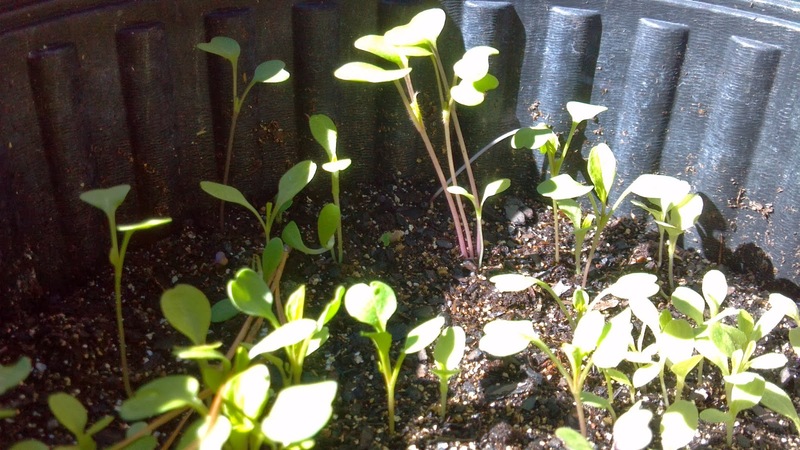 This won't matter if you have transplanted them because you will have buried them up to where the leaves sprout out. 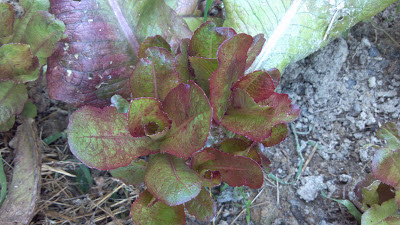 The leaves of a lettuce, kale, collards, spinach, chard...you get the idea... all attach at the center like a dandelion. Don't cut below that rosette where they all attach. Anything below that is the root. If you grew them from seed and they stretched, that will look like a stem, but it is not. Eliminate any confusion by top-dressing with compost or soil until that root is buried and the soil surface is flush with the rosette. If you cut ABOVE where the leaves attach, it grows back. It isn't necessary and it doesn't harm the plant to leave that little section of root exposed. But sooner or later somebody, maybe you, will go over with the scissors and chop off a handful of lettuce for the burgers and said person will cut through that little section of root/stem. When that happens, drop another seed in that space. There is plenty more lettuce where that came from.